Huchuy Qosqo was a population located at over 3,550 masl on a small plateau at the top of a mountain. From here you can take beautiful views across the valley, it is possible to see snowy mountain of exuberant beauty like the snowy Pitusiray and to the bottom of this privileged view, the town of Calca. It is known by the chroniclers that it was the Inca Wiracocha who ordered the construction of the city of Huchuy Qosqo; It is said that in his old age he felt tired and wanted to leave the government and move away from the movement of the empire capital of Tahuantinsuyo (Cusco) and seek peace and tranquility in this place; Is built on a territory occupied by several human settlements, over time, these would be dominated and incorporated into the empire of the Incas. One of these settlements must have been precisely on Huchuy Qosqo. Where is Huchuy Qosqo located? 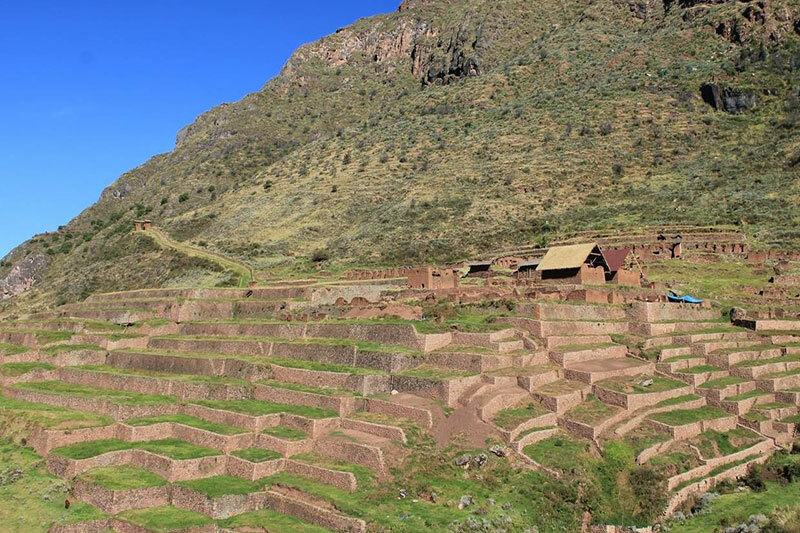 Huchuy Qosqo is located in the peasant community of the same name, just less than 5 km from the city of Calca in the department of Cusco, in the Sacred Valley of the Incas; Exactly on a summit at 570 m. On the basin of the Urubamba river (Vilcanota). The route of Huchuy Qosqo is very beautiful; Touring its trails will allow you to visit some Andean communities, archaeological sites and enjoy beautiful landscapes. Many people visit Huchuy Qosqo on their trip to Machu Picchu. Huchuy Qosqo means “Little Cusco”, but it also has other names; One would be Qaqyaxaqixawana and another Qaqyaqhawana, this means “from where the rays are observed“; And undoubtedly is a good name since being 800 meters above the Sacred Valley of the Incas, gives you the opportunity to see the dramatic show of lights and sound, as lightning and thunder descend from the sky to crash into the soil. Others say that probably the site was known in Inca times as “Caquia Jaquijahuana”. 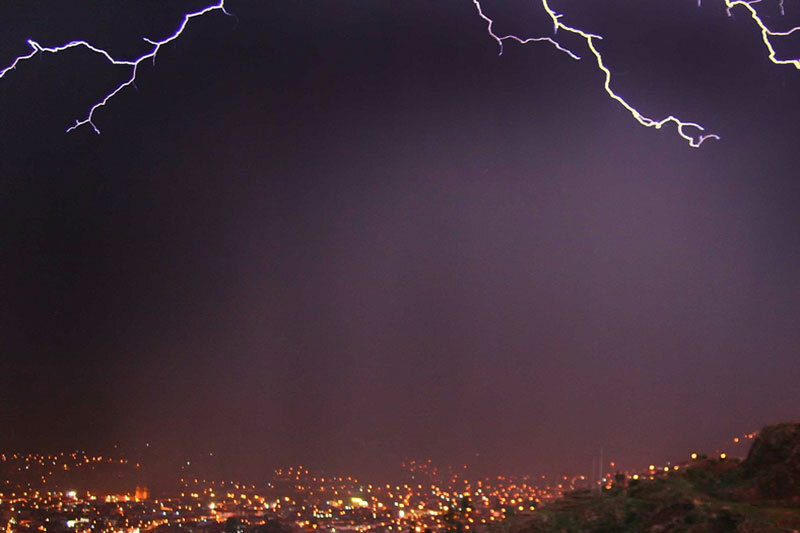 The enclosure located in Huchuy Qosqo, is called Qaqyaqawana; Quechua name that refers to the place where the lightning is seen. This archaeological complex is located on the upper third of the mountain called Qaqya (thunder), and exhibits one of the most impressive works of topographic modification through the use of terrain, modulating the edges of vertical precipices and ravines over the Vilcanota Valley, culminating On platforms that were used as ceremonial esplanades, around which still can be found, several architectural structures made of stone and adobe. Materials used and worked with great criteria, achieving a fine finish. 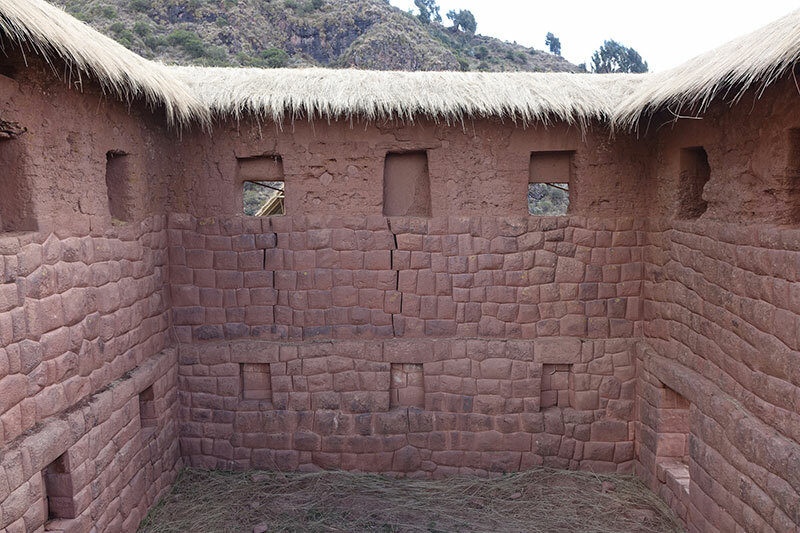 In addition, the structures of the enclosure are distributed in such a way that they architecturally resemble it to the city of Cusco; It is for this reason that at the beginning of the 20th century it is called Huchuy Qosqo (small Cusco). One of the most outstanding features of this archaeological complex is the use of the lithic material combined with adobe and clay. This demonstrates the knowledge and mastery of the different construction materials, used with high technology, especially the adobe; The walls built of this material, with centuries of antiquity, still defy the strong inclemencias climatic of the zone, seismic movements and of course the passage of time. The following is a list of what you can see in Huchuy Qosqo; No ticket is required, or pay to enter Huchuy Qosqo. A structure of three levels (floors), the first two in the form of regular polyhedra, and the last floor made of adobe. The enclosure is of rectangular form and of enormous architectonic invoice. A long rectangular building made of adobe on an eminent platform, this building has a large number of doors facing the valley. You will find many other small, scattered enclosures, most of which are in poor condition. 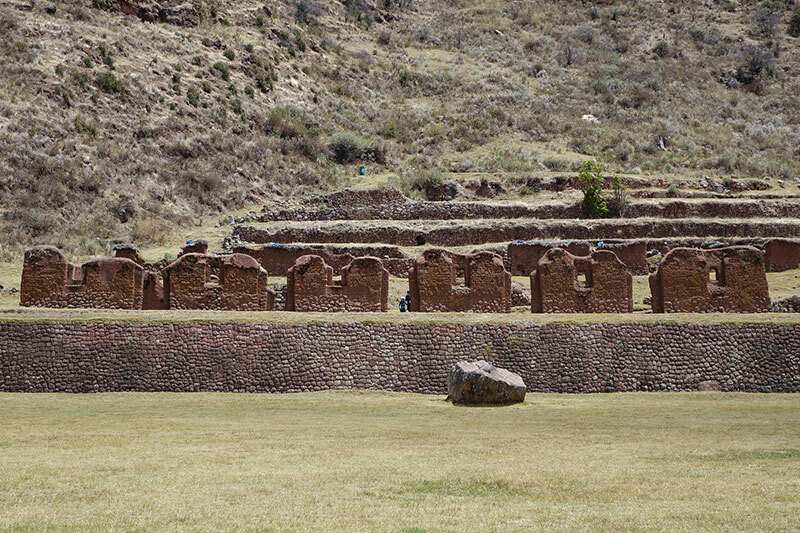 Very close to these ruins, you will find an Inca trail oriented to the Cusco Inca trail orientated to Cusco. There are also some small enclosures like outposts and surveillance located on the edge of the cliff, in order to have the largest possible field of visión from the valley.